A long time has passed, since the day my grandmother turned four, in the remote year of 1908. That same day, the 8th of March of 1908, 15,000 women marched through New York City demanding shorter hours, better pay and voting rights. That fundamental event in history inaugurated an important movement led by millions of women standing out for equality. Two years later, In August 1910, an International Women’s Conference proposed the establishment of an annual ‘International Woman’s Day’ . The delegates attending the event, 100 women from 17 countries, agreed with the idea as a strategy to promote equal rights, including suffrage for women. One year later, the 19th of March of 1911, 1 million of women marched in various countries in Europe, celebrating the first International Women’s Day. March 8, became then the day set aside each year for this important event. More then one century afterwards, a lot was done, and generations of women have accessed things and opportunities that wouldn´t ever be possible without the connected effort of our worldly grandmothers, scattered throughout the world in a jointed effort, even though not having the web yet. Since then, amazing developments happened in society in general, such as technology, that connected us in unimaginable ways, which has brought a lot to women. We are living times of celebration, but it is still important to keep reminding ourselves of what there is still to be done for women´s equality, which will ultimately be beneficial to everyone. Women´s Day, reminds us of our history and what are the steps forward. This year’s theme of Internatinal Womends Day is Inspiring Change and encourages advocacy for women’s advancement everywhere in every way. Thousands of events are held worldwide to mark the date. Many of them are listed on the official site international womens day. One of those events began one day earlier, yesterday. Tech City International Women’s Day, happened the seventh of March in London’s Lyst studios. 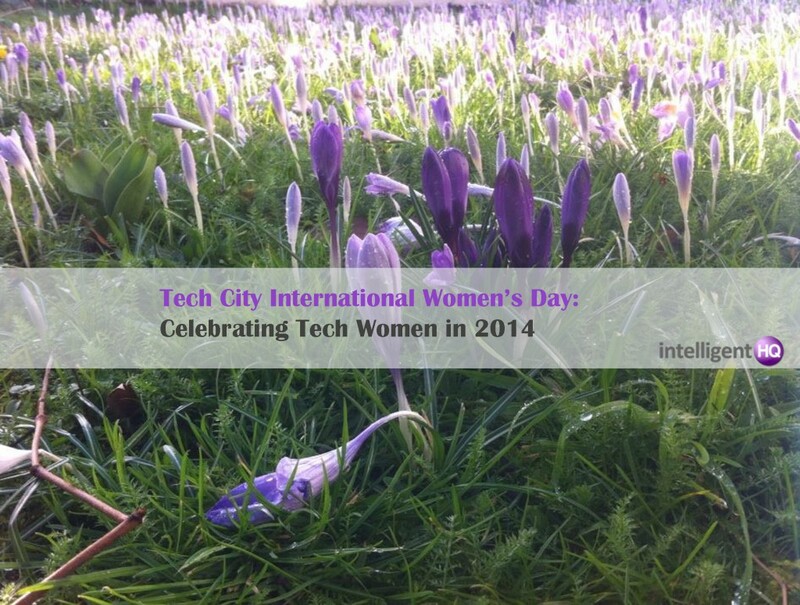 It to celebrate Tech Women in 2014 through a showcase of 20 women exhibiting work from the tech & creative industries. It was a well spent evening of demos, warmed with food, craft beers, wine and interesting conversations. The event intended to raise money for Solace Women’s Aid. Tech City International Women’s Day show cased various companies such as Caper, Fossbox, ebarts, Frugl, Projecto Andiamo Victoria and Albert Museum, Ko-su, Mazz Mosley, British Council-Creative Economy, Rentez – vous, Patchwork Present, Codasign Inquiron, Fall in Love Fashion, BLN, Simplee Host, Stephanie Prosavec, Women Shift Digital. Ebarts really attracted my attention. Ebart is a multi-platform digital currency developed by three women, Yasmine Arafa, Cornelia Boldyreff, Miriam Morris, that enables people to buy and sell without using money. It is available as a mobile app or web app. Every users account starts on zero, and is debited or credited as goods and services are traded. The system is transparent and self-regulating. Unlike other currencies, ebarts are not bought or issued. Instead, credit is created by account holders as they exchange goods and services. Ebarts aims to develop itself as a currency that can be tradable with friends, organizations and businesses in your community; and with any other account online or face-to-face. It is different from other online currencies, as it is not possible to convert it to mainstream currencies. 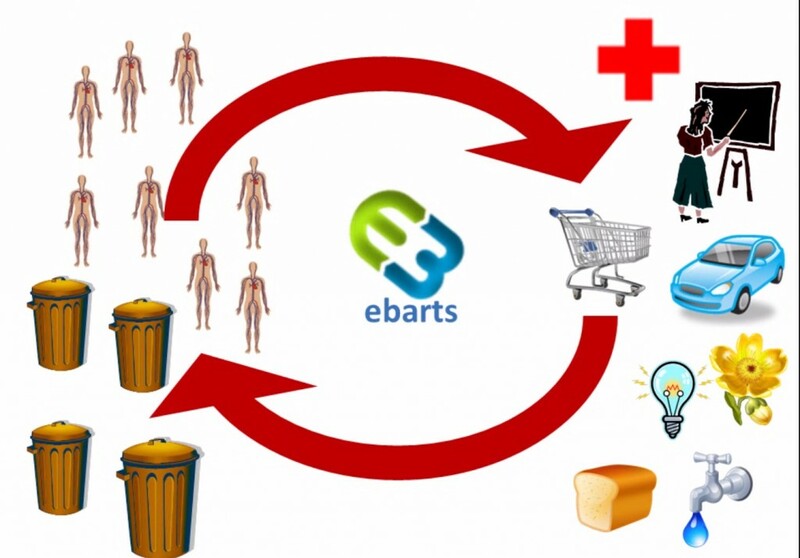 Ebarts extends social networks into local communities, creating a new social economy. Another showcase was the one of Mazz, which stood up in the event as herself: a friendly and communicative technologist that helps people solve problems, by writing text that tells a computer what to do. Mazz has worked in the tech industry for over a decade having a lot of expertise on helping people picking up and running with new technologies and ideas, and explore digital possibilities. The organization Caper works at the intersection of technology and culture: experimenting, innovating and collaborating. 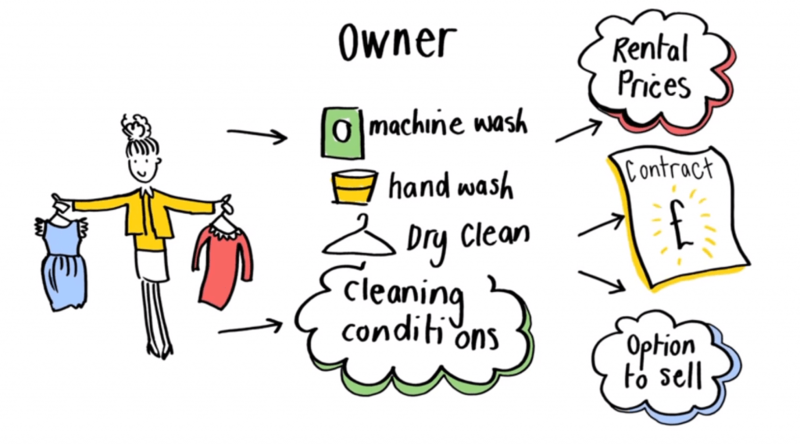 Caper can help you with organisational change, designing R&D programmes and creating digital prototypes. Caper has their own projects: Articulate, a speaker network for the tech and creative industries, Culture Hack, the leading open data and prototyping intiative for the arts, and the technologist-in-residence programme Happenstance. The Creative Economy at the British Council showcased their work at the event, by telling us about their support given to creative practitioners, industry and academics to produce international collaborations, support talent and share powerful ideas. Some of their live programmes include Playable City with Watershed in Brazil, Unbox Labs in India andFutureEverything in Russia. Gerlinde Gniewosz introduced me to Ko-Su a company founded by her, that developed a helpful mobile learning platform, that is open to everyone that wants to learn and teach via mobile devices. 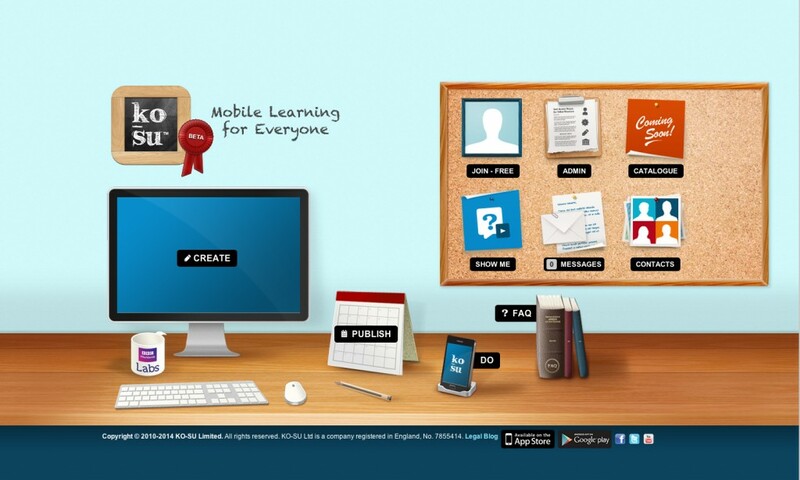 The app is able to create mobile learning activities in any language, invite anyone to your class and publish your activities to your class. The interactive activites are created using a friendly and intuitive task template that support text, images, audio, videos, and the students can draw their answers in the mobile touch screen. Another showcase was Rentez-Vous , that sees itself as a Peer-to-Peer and designers clothing rental marketplace. Rentez-vous goal is to allow girls to change clothes everyday. Rentez-Vous considers itself to be the Airbnb of fashion, the first peer-to-peer and designers fashion rental marketplace that connects women through their wardrobe and revolutionizes the fashion experience.They aim to be pioneers of collaborative fashion, a revolutionary vision of fashion, based on collaborative consumption and co-creation, an example of experiential commerce, that reinvents the traditional retail experience by bridging online and offline. Finally I visited women shift digital, a conference that is organized by body>data>space, a female led interdisciplinary design collective, which has been recognised as international long term figures involved in the women in technology debates and networks. body>data>space has been promoting and supporting the work of many female artists and researchers for many years. IntelligentHQ supported women shift digital conference that happened last November at Level 39 in Canary Wharf. Women shift digital aimed to celebrate and empower women´s presence in the growing digital/technology/media world as active and successful professionals. Tech City International Womens Day event was massively attended, gathering together lots of people from all ages and genders, celebrating the achievements of women in technology, design and creative industries. It was a perfect moment to bring together the community of East London, and to encourage a shared and engaged conversation on the interesting projects that are being developed by tech women. Happy Women and Men´s day to all. Maria Fonseca is the Editor and Infographic Artist for IntelligentHQ. She is also a thought leader writing about social innovation, sharing economy, social business, and the commons. 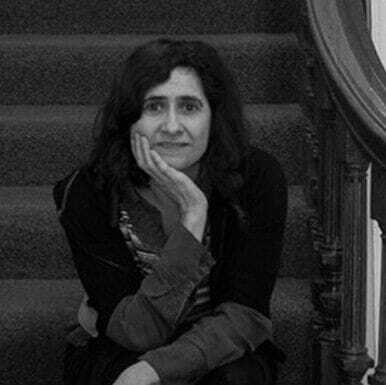 Aside her work for IntelligentHQ, Maria Fonseca is a visual artist and filmmaker that has exhibited widely in international events such as Manifesta 5, Sao Paulo Biennial, Photo Espana, Moderna Museet in Stockholm, Joshibi University and many others. She concluded her PhD on essayistic filmmaking , taken at University of Westminster in London and is preparing her post doc that will explore the links between creativity and the sharing economy. What Happens if I Don’t Register my Trademark? Facebook Study Finds Princeton matters as much as Myspace!